Buckle up folks, because I have a doozy of a story for you here! 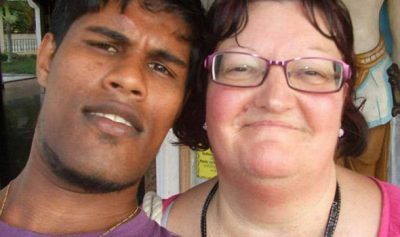 A 60-year-old British woman named Diane De Zoysa has finally returned home after being stranded in Sri Lanka after the death of her husband. 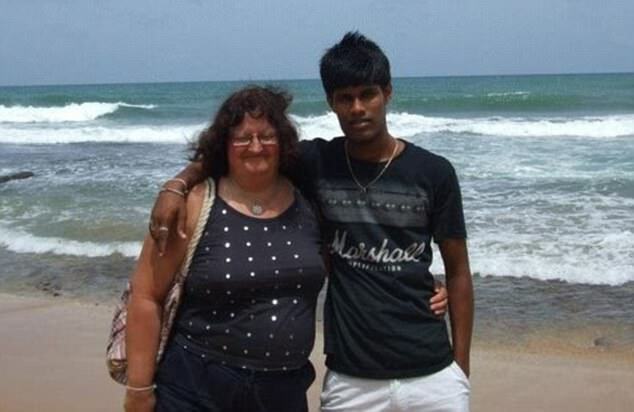 De Zoysa had spent her entire life savings, which totaled around £90,000 (roughly $115,730), on her 26-year-old Sri Lankan husband Priyanjana De Zoysa after she sold her home in Musselburgh, East Lothian, packed up her life, said goodbye to her friends and family and moved to Sri Lanka to live close to her husbands family. Diane sold her home two years ago and used that money to build a house in Ahungalla, south of the Sri Lankan capital of Colombo, for her and her husband. She also allegedly bought him a minibus. However, after her husband’s death, Diane was left stranded in the country. Apparently, her late husband’s family was keeping her ‘under house arrest’ because they refused to let her sell the house she paid for. They also demanded that she give them more money from her pension. 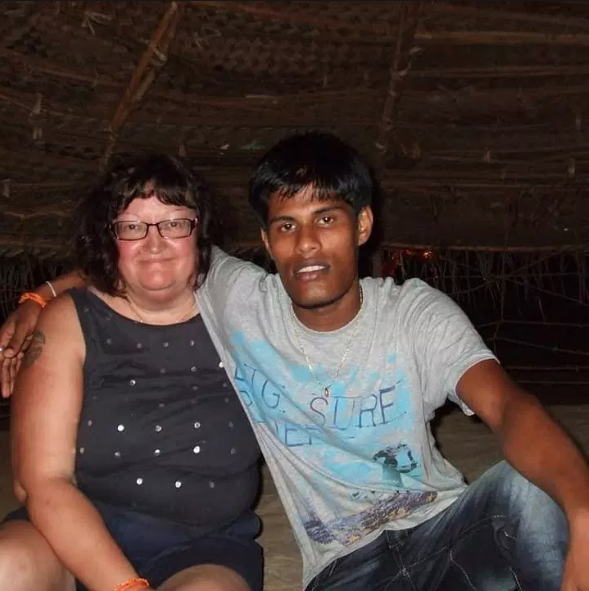 A year after Diane and Priyanjana were married, Priyanjana was killed, and it is only now that Diana is beginning to admit that he ‘obviously didn’t love her’, thus making her attempt to escape back to the UK. 60-year-old Diana met Priyanjana while she was on holiday in Sri Lanka six years ago, he was working in the hotel her and her group was staying at. They then got married, just 7 months later. During her move to Sri Lanka in 2016, Diane says she initially spent £57,000 ($73,271) on building a house which was close to her husband’s family, and then a further £31,000 ($39,849)on a minibus for her husband to drive as a means of employment, yikes. However, on May 30th, 2017, Priyanajana was actually shot dead by blackmailers who had learned about all the money he had recently “come into”…. double yikes. Since the death of her husband, Diane has been searching for a lawyer who is willing to help sell her house, which turns out was put in her husband’s family name. Unsurprisingly, her husband’s family have refused to help her at all. Because of all this chaos, she has since run up thousands upon thousands of pounds worth of debt while trying to support Priyanjana’s family and living on her own in Sri Lanka. Not only that, but Diane also has a string of medical conditions which made her fear she may never actually get to leave the country ever again. 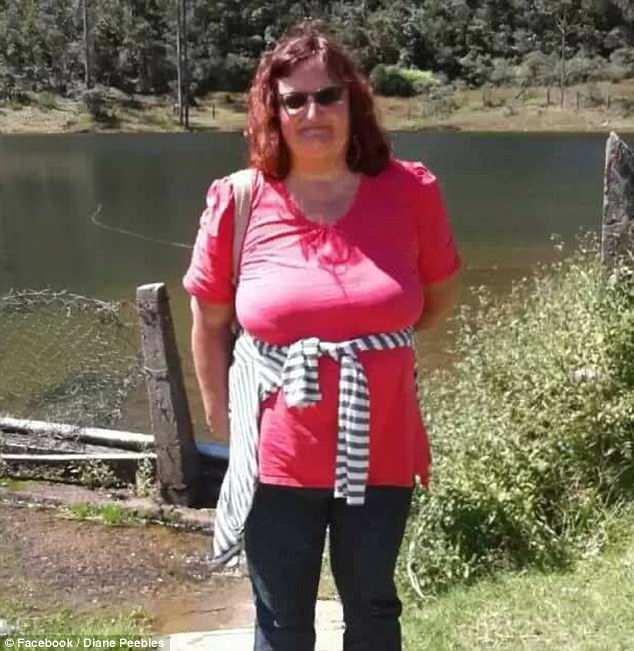 However, Diane did manage to eventually flee her husband’s family and seek refuge with friends, before finally being able to board a flight back to Scotland. Diane also added that she had put ‘everything’ (but I mean, literally everything) into moving to Sri Lanka to be with her husband, the man she was so sure loved her, and is now hoping to find a lawyer to help her claim back at least some, if not all, of her assets. What a terrible thing to have to go through. Good luck with your new endeavors Diane, we’re rooting for you!